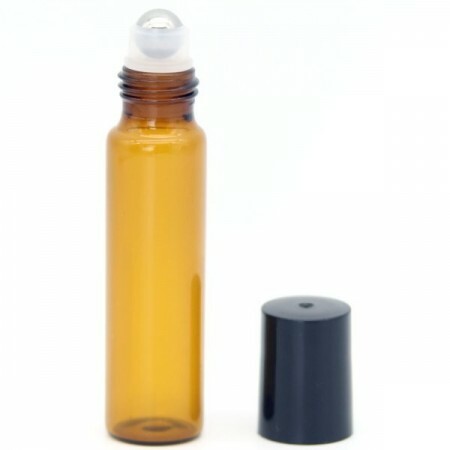 A 15ml amber glass bottle with a removable roll-on ball for easy refilling. 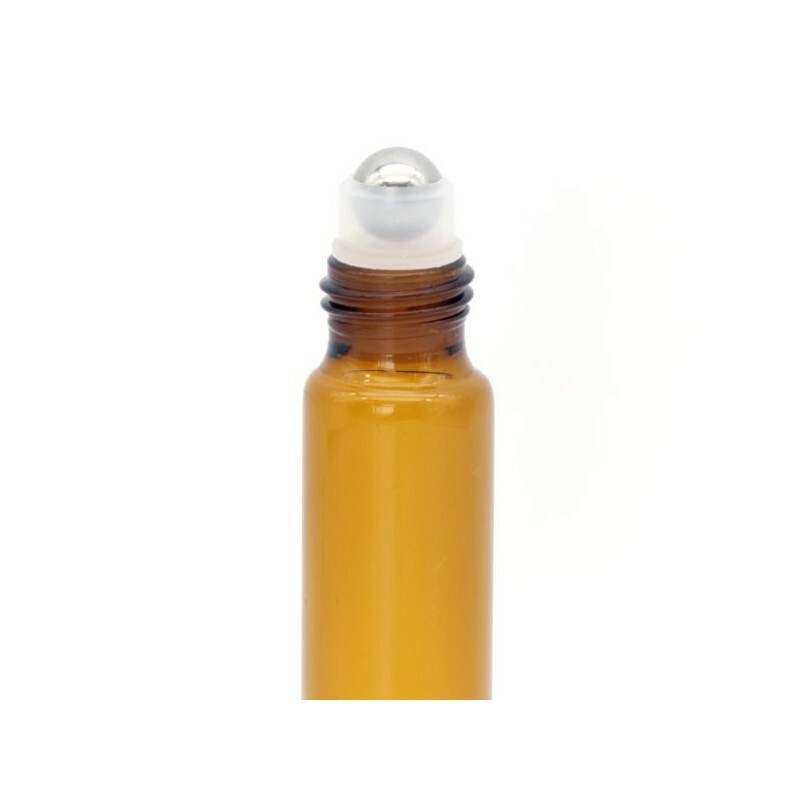 8.5cm height x 1.5cm diameter / glass, plastic lid. 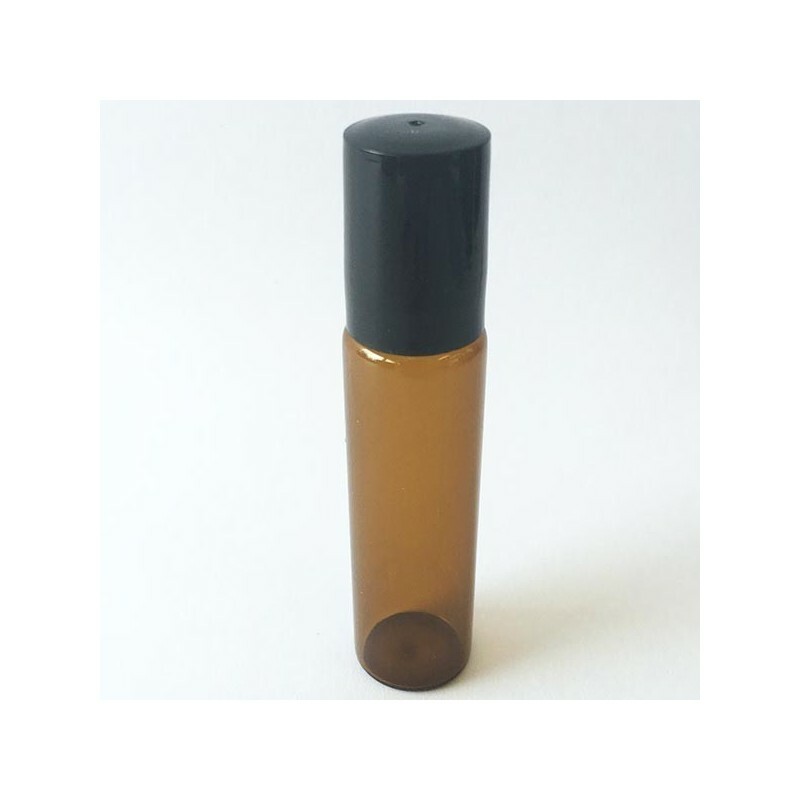 Just what I needed for storing a calming blend of essential oils. 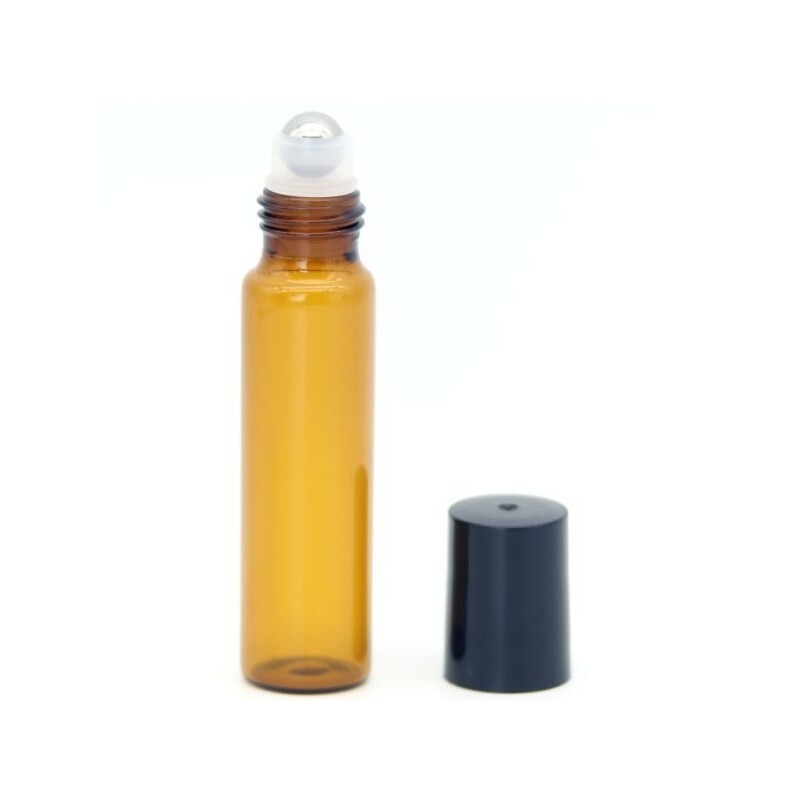 I purchased this for my mum who wanted to take her facial oil in a container that was going to be leakproof when travelling. This perfectly suited all her needs and it was easy to assemble and use.